The annexes of the inner court are on either side of this courtyard which contained the private pavilions for the use of the emperor. The eastern (left) and western (right) annexes were therefore private buildings in which everything related to the private life of the Emperor, although not in direct contact with his person. This is where the apartments of empresses and concubines are. 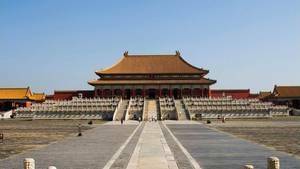 The western annexes are in an area at the northwest corner of the Forbidden City. This area is very dense, much more than the two courtyards or the outer annexes. There are a large number of buildings that have had various uses during the history of the palace. Most are modest in size compared to other pavilions, but their number makes them a real small town in the palace. 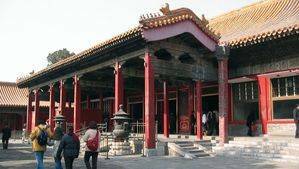 The Spirit Culture Pavilion (Yangxin dian) is the place where the emperors of the Qing Dynasty (1644-1911) rested. 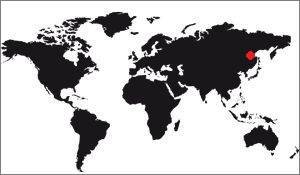 Nowadays it is presented in its original state. A kang chair (hollow chair made of bricks and heated from below) was built in the main room. A throne was placed in the eastern secondary chamber; while in the second room, to the west contained this kang chair and a large wardrobe made of sandalwood and adorned with stylized dragon flying in the clouds. The rooms, at the very end of the building, were both furnished with kang beds on which the emperor could sleep. Five side rooms flank each side of this pavilion which has been served as a reception hall. 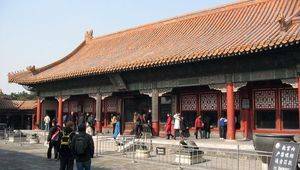 The rooms served as temporary housing for people summoned by the emperor. 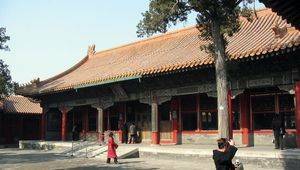 Until the end of the Ming Dynasty (1368-1644) the hall of the supreme principle was the residence of spouses and concubines. At the beginning of the Qing Dynasty (1644-1911), it was renovated and reunited with the palace of the eternal spring (Changchun gong) to form a large ensemble. It was at this time that his current name was chosen because this place was called the Palace of Young Night (Weiyanggong) under the Ming. At the end of the Qing Dynasty Empress Dowager Cixi and Longyu resided here. Moreover, several empresses lived there, including Yu, Tongzhi's wife. This pavilion is visitable, it contains several interesting elements including two porcelain elephants (These are symbols of peace) each supporting a vase in which one deposited seeds. Here again it was a symbolic gesture intended to attract the good auguries for the future harvests. These two elephants surround the imperial throne, which is also one of the interesting pieces of furniture. There are also several lounges and a bedroom. This palace is part of six Western palaces, in the inner courtyard. 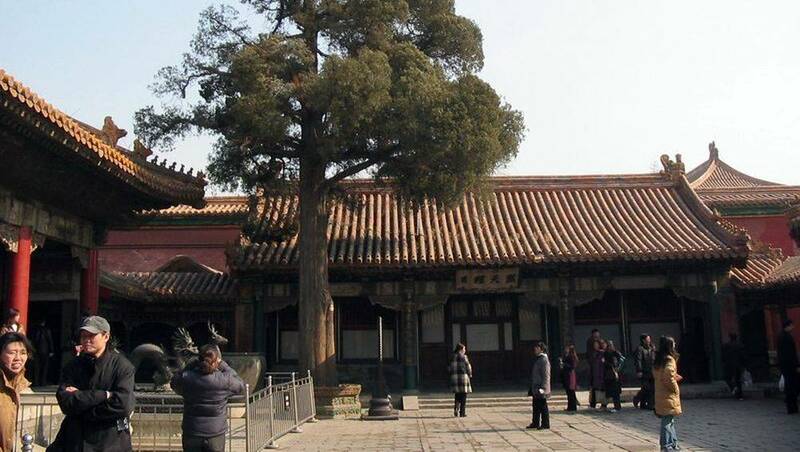 In the Ming dynasty (1368-1644), the palace of eternal longevity was the residence of the Empress. The Emperor Chongzhen (1628-1644) lived here the time of a fast which he tries to do as a penance made in heaven following various natural catastrophes. During the Qing dynasty (1644-1911) this palace was a residence for important imperial concubines. 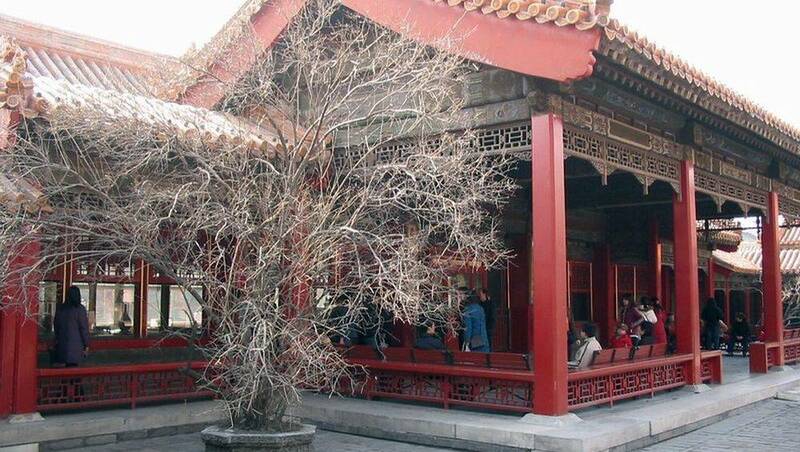 The Concubine Ru of Emperor Jiaqing (1796-1820) lived here at some time also during the Qing Dynasty. This palace is part of the six palaces of the west, in the inner courtyard. Built in 1417, the Palace of Earthly Honor was originally named Palace of Myriads of Peace. It took its current name during the reign of Jiajing (1522-1566), an emperor of the Ming Dynasty. It was rebuilt in 1655 by order of Emperor Sunzhi. 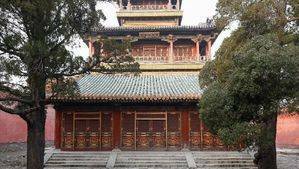 It was the residence of empresses and concubines in the Ming and Qing dynasties. During the grant ceremonies, Empress Dowager Cixi received here the respect of concubines. She also received the congratulations of the courtiers who came to wish her 50th birthday. In 1802, Emperor Jiaqing commissioned works in this palace, which he wished to link to the Palace of Accumulated Elegance. He followed the construction of a new room, the Hall of Harmony Favorable (Tihedian). At the end of the century Cixi converted it into a dining room. 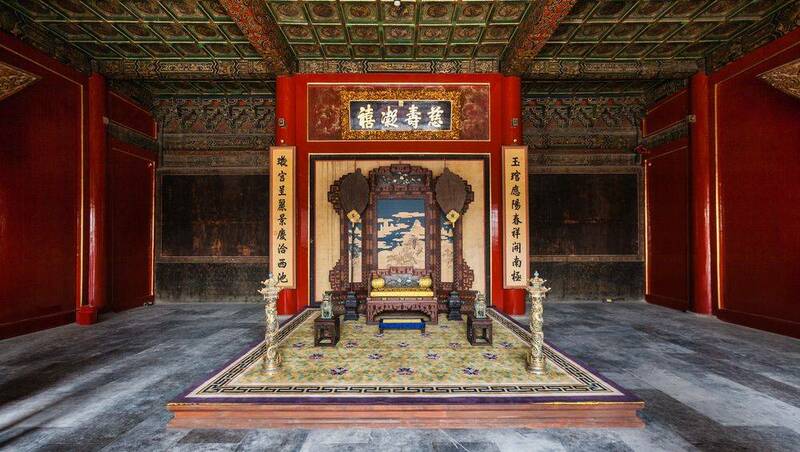 It is also in this room that she chooses Empress Longyu and concubines Jin and Zhenfei for Emperor Guangxu. Located in the Western Palace District, the Palace of Universal Happiness was originally named Peace Longevity Palace. It took this name during the reign of Jiajing (1522-1566) during the Ming Dynasty (1368-1644). This palace has a similar shape with the Palace of the Great Brilliance, with glazed tiles. It is a little more than the other 5 palaces of this area because in addition to serving as housing for the empress and concubines, the emperor could sometimes live here too. Emperor Jiaqing (1796-1820) observed the mourning of Emperor Qianlong (1736-1795) in this palace, as did Xianfeng (1851-1861) for Daoguang (1821-1850). The Pavilion of Rain Flowers is located in the western annexes of the inner courtyard. This is a pavilion a bit isolated from others. The large pavilion for worshiping Buddha is in the western annexes of the inner courtyard. The Palace of Compassion and Tranquility is located in the western annexes of the inner courtyard. Built in 1536 in the western part of the Forbidden City, it was the palace residence of Empress Dowager Jiang, built for her special attention on the order of Emperor Jiajing (1522-1566). In 1769 (the 34th year of Qianlong reign), the main hall of this palace was rebuilt with multiple roofs, and the back ward was moved north, in a layout that we can still see nowadays. The courtyard, bounded by the covered corridors of East and West, which connect the Gate of Compassion and Tranquility (to the South) and the houses of the back hall (to the North), form an independent architectural complex. The main lobby, with front and back porches, a gable and hip roof with double eaves and yellow ceramic tile, is seven bays wide for five deep. In front of the main hall is a terrace where the main ceremonies of the sweetness of the Empress took place, especially the anniversaries of the Empress Dowager. The back room was the place where the Empress Dowager worshiped Buddha, she was provided with all kinds of Buddha statues and ritual instruments. So it was also called the "big room of the Buddha". 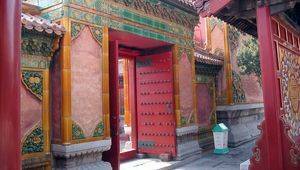 The door of compassion and tranquility is in the western annexes of the inner courtyard. Very nice classical style building, it is guarded by two bronze animals. Three marble staircases allow one to enter. Although pretty and properly proportioned, the roof is quite classic. The palace of longevity and health is in the western annexes of the inner courtyard. The construction of this palace lasted from December 1735 (the thirteenth year of the reign of Yongzheng) to October 1736 (the first year of the reign of Qianlong). It was Emperor Qianlong who ordered the construction of this palace for his mother, Dowager Empress Chongqing. Subsequently, it became the palace exclusively reserved for dowager empresses. After multiple renovations during the reigns of Jiaqing, Daoguang, Xianfeng and Guangxu, this palace remained unchanged in its general architecture. The East Room was a throne room reserved exclusively for the Emperor when he visited the residence of the Empress Dowager. The palace of accumulated elegance is located in the western annexes of the inner courtyard, it is one of the 6 palaces of these annexes. This pavilion was built on the site of the former pavilion and its door. Empress Dowager Cixi dined, drank tea and rested here when she lived in the Palace of Accumulated Elegance (Chuxiu Gong). In 1885 this palace was completely restored and redecorated for the birthday of Cixi (She was celebrating her 50th birthday). This work cost 630,000 taels of silver. In 1887 she presided over a ceremony to select the empress and concubines for Emperor Guangxu (circa 1875-1908). This palace still contains the furniture of the Cixi period, at the end of the 19th century. They are particularly beautiful, very decorated. The room hosts a throne framed by floral arrangements made of precious stones. The visitor can discover on the throne an engraved scepter of a bat as well as screens, as often, precious wood inlaid with ivory. Ivory was a coveted material, the room also contains two boats of this material, one in the shape of a Phoenix and the other in the shape of a Dragon. Both boats are shot by 42 "immortals". There is also a bronze pendulum supported by a camel, and at the entrance to the palace two dragons and two bronze deer on stone pedestals. The kiosk of enchanting landscapes is in the western annexes of the inner courtyard. It is said that during the last years of the Qing Dynasty (1644-1911), when Empress Dowager Cixi was in the Forbidden City, she lived here and gave birth to Prince Zaichun who was later enthroned as Emperor of Tongzhi (1862-1874). In 1884, the 10th year of the reign of Guangxu (1875-1908), Empress Cixi settled there again to celebrate her 50th lunar birthday. It was at this moment that this pavilion was renamed "Belvedere of enchanting landscapes" and a mini-stage was built inside. Now the belvedere looks like it was when the last emperor Puyi (1909-1911) lived in the inner courtyard. There are Western-style furniture, piano and tableware. The house of manifest origin is located in the western annexes of the inner courtyard, it is one of the 6 palaces of the inner courtyard. It was created on the sites of the Eternal Spring Gate (Changchun gong) and the old back part of the supreme principle pavilion (Taiji dian). It has a front door and a back door, serving as a passage room connecting the Palace of Eternal Spring and this hall of the supreme principle. The back porch is a theatrical scene. In 1884, at the age of 50, Empress Dowager Cixi, watched the opera played here from the palace of Eternal Spring. The garden of caring tranquility is located in the western annexes of the inner courtyard. It takes a large area of the forbidden city since it is 130m long and 50 wide and contains several kiosks, pavilions and lookouts. These constructions are rather to the North. The pavilion of the alignment of the Dao is in the western annexes of the inner courtyard, it is at the back of the Palace of Universal Happiness (Xianfu Gong). In the Qing Dynasty (1644-1911), Emperor Qianlong (1736-1795) designated it as his occasional dwelling. The present furnishings present what it looked like at the end of this dynasty, with horizontal planks mainly inscribed by Emperor Xianfeng (1851-1861). Shortly before the invasion of British and French allied forces, Emperor Xianfeng ate his last meal here and resolved to flee.